After having successfully wrapped up the prestigious Global Entrepreneurship Summit 2017 in November end, the IT city of Hyderabad is gearing up to host yet another high profile global summit — the World Congress on InformationTechnology (WCIT) 2018 from February 19 to 21. The event, which is more popularly referred to as the Olympics of the global ICT industry, is being held in India for the first time. 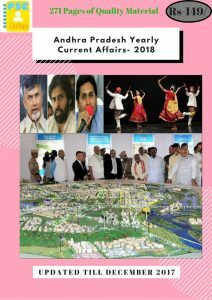 And just like GES 2017, the Telangana government is pulling out all the stops to ensure the three-day global event is a blockbuster and has set aside a budget of a whopping Rs 20 crore, including the Rs 5 crore that it had to pay upfront to the World Information Technology and Services Alliance (WITSA) for hosting the event. Along with the WCIT 2018, which is being jointly hosted by apex IT industry body Nasscom, WITSA and the Telangana government, the Nasscom India Leadership Forum (NILF) 2018 too will be conducted simultaneously in Hyderabad. According to him, WCIT-NILF 2018 expects to see participation from over 2500 delegates, including 500 from over 30 countries including Canada, US, Mexico, Brazil, South Africa. Construction on the 150-megawatt Aurora plant, to be built by utility-scale solar power company Solar Reserve, will begin in 2018 at an estimated cost of $509 million. It will have the capacity to power 90,000 homes with eight hours of full load storage. This is an app for Freight Managers which provides features for monitoring and managing freight business using Geographic Information System (GIS) Views and Dashboard. Both passenger and freight trains can be tracked over Zones/Divisions/ Sections in single GIS View. Freight business can be monitored. Comparative Analysis of Zonal/Divisional Traffic. Analysis of new traffic captured and traffic lost. This app provides a Bird’s eye view of all Freight Assets in a single window. India’s first plant to convert coal to synthetic gas is to be set up in Odisha under the supervision of state-run gas transmission utility GAIL, the Petroleum Minister Dharmendra Pradhan said. This synthetic gas is expected to be cheaper than natural gas,” the Minister said. According to sources here, GAIL has roped in other public sector undertakings like Coal India, Rashtriya Chemicals and Fertilizers and Fertilizer Corp of India for the project, which will generate ammonia synthesis gas from coal. Actress Kajol, an active supporter of eradicating preventable deaths from hygiene-related issues, has become an advocacy ambassador for a Swachh Aadat Swachh Bharat initiative. Kajol took to Twitter to urge people to become “swachhta doot” and contribute to Prime Minister Narendra Modi’s Swachh Bharat Abhiyan. Reliance JioInfocomm Ltd is planning to create its own cryptocurrency, JioCoin. 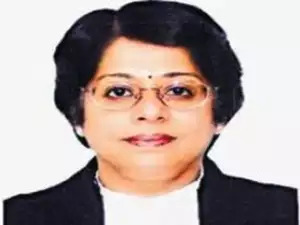 The Supreme Court collegium led by Chief Justice of India (CI)Dipak Misra unanimously recommended the name of senior advocate Indu Malhotra for the appointment as a judge of the Supreme Court. ISRO’s PSLV-C40 carrying Cartosat-2series satellite and 30 other spacecraft lifts off from Sriharikota. A satellite is a moon, planet or machine that orbits a planet or star. For example, Earth is a satellite because it orbits the sun. Likewise, the moon is a satellite because it orbits Earth. Usually, the word “satellite” refers to a machine that is launched into space and moves around Earth or another body in space. Earth and the moon are examples of natural satellites. Thousands of artificial, or man-made, satellites orbit Earth. Some take pictures of the planet that help meteorologists predict weather and track hurricanes. The Indian National Satellite (INSAT) system is one of the largest domestic communication satellite systems in Asia-Pacific region with nine operational communication satellites placed in Geo-stationary orbit. Established in 1983 with commissioning of INSAT-1B, it initiated a major revolution in India’s communications sector and sustained the same later. GSAT-17 joins the constellation of INSAT System consisting 15 operational satellites, namely – INSAT-3A, 3C, 4A, 4B, 4CR and GSAT-6, 7, 8, 9, 10, 12, 14, 15, 16 and 18.
ð Starting with IRS-1A in 1988, ISRO has launched many operational remote sensing satellites. Today, India has one of the largest constellations of remote sensing satellites in operation. Currently, *thirteen* operational satellites are in Sun-synchronous orbit – RESOURCESAT-1, 2, 2A CARTOSAT-1, 2, 2A, 2B, RISAT-1 and 2, OCEANSAT-2, Megha-Tropiques, SARAL and SCATSAT-1, and *four* in Geostationary orbit- INSAT-3D, Kalpana & INSAT 3A, INSAT -3DR. ð Varieties of instruments have been flown onboard these satellites to provide necessary data in a diversified spatial, spectral and temporal resolutions to cater to different user requirements in the country and for global usage. The data from these satellites are used for several applications covering agriculture, water resources, urban planning, rural development, mineral prospecting, environment, forestry, ocean resources and disaster management. ð This is a Satellite Based Augmentation System (SBAS) implemented jointly with Airport Authority of India (AAI). The main objectives of GAGAN are to provide Satellite-based Navigation services with accuracy and integrity required for civil aviation applications and to provide better Air Traffic Management over Indian Airspace. The system will be interoperable with other international SBAS systems and provide seamless navigation across regional boundaries. The GAGAN Signal-In-Space (SIS) is available through GSAT-8 and GSAT-10. Restricted Service (RS) for strategic users. ð AstroSat is the first dedicated Indian astronomy mission aimed at studying celestial sources in X-ray, optical and UV spectral bands simultaneously. The payloads cover the energy bands of Ultraviolet (Near and For), limited optical and X-ray regime (0.3 keV to 100keV). One of the unique features of AstroSat mission is that it enables the simultaneous multi-wavelength observations of various astronomical objects with a single satellite. ð AstroSat with a lift-off mass of 1515 kg was launched on September 28, 2015 into a 650 km orbit inclined at an angle of 6 deg to the equator by PSLV-C30 from Satish Dhawan Space Centre, Sriharikota. The minimum useful life of the AstroSat mission is expected to be 5 years. ð Mars Orbiter Mission is ISRO’s first interplanetary mission to planet Mars with an orbiter craft designed to orbit Mars in an elliptical orbit of 372 km by 80,000 km. Mars Orbiter mission can be termed as a challenging technological mission and a science mission considering the critical mission operations and stringent requirements on propulsion, communications and other bus systems of the spacecraft. ð Chandrayaan-1, India’s first mission to Moon, was launched successfully on October 22, 2008 from SDSC SHAR, Sriharikota. The spacecraft was orbiting around the Moon at a height of 100 km from the lunar surface for chemical, mineralogical and photo-geologic mapping of the Moon. The spacecraft carried 11 scientific instruments built in India, USA, UK, Germany, Sweden and Bulgaria. Chandrayaan-2 will be an advanced version of the previous Chandrayaan-1 mission to Moon.Chandrayaan-2 is configured as a two module system comprising of an Orbiter Craft module (OC) and a Lander Craft module (LC) carrying the Rover developed by ISRO.